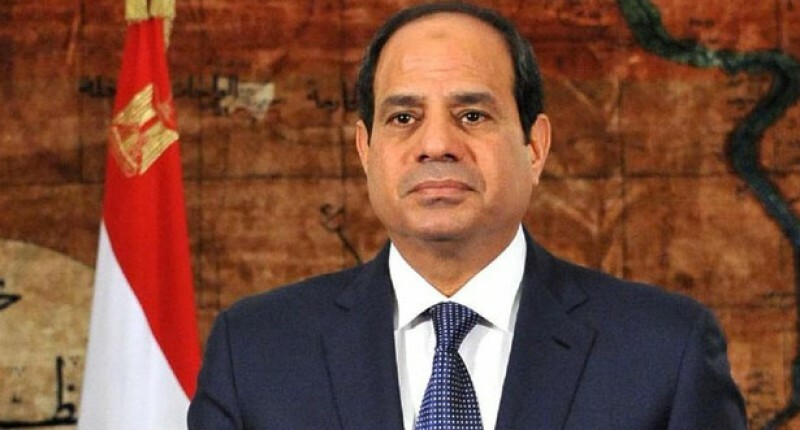 Field Marshal Abdel Fattah el-Sisi has won re-election as Egypt’s president, according to preliminary results reported by a number of state media outlets, showing el-Sisi winning 92 percent of the vote. The official MENA news agency and the state-owned newspapers al-Ahram and Akhbar el-Youm said on Thursday that 23 million out of the 60 million registered voters – 40 percent – turned out to cast the ballots during the three days of polling that ended on Wednesday. Sisi ran virtually unchallenged after the other serious candidates were arrested and discredited. Sisi’s only opponent, Moussa Mostafa Moussa, a Sisi supporter, gained 721,000 votes, al-Youm and al-Ahram reported. The electoral commission issued a last-minute call for people to vote, hoping to boost the turnout figure that Sisi regards as vital to legitimizing his victory. But a turnout rate of less than 50 percent will be seen as disappointing. According to Al Jazeera’s Hashem Ahelbarra, trucks were seen distributing bags of sugar, cooking oil and rice to people in poor areas. Official results are due on April 2. US-client General Abdel Fattah al-Sisi who later assumed the title of Field Marshall toppled Mohammad Mursi in July 2013. Mursi was the first democratically elected President of Egypt. According to CNN, observers have widely called the vote a farce, seeing it more as a referendum on el-Sisi than a free and fair election. Egyptian authorities arrested former army Gen. Sami Anan in January after he announced his candidacy. Authorities accused Anan of breaking military rules. Several other high-profile candidates said they came under pressure to withdraw from the race. In February, Human Rights Watch accused Egyptian authorities of carrying out “a series of arbitrary arrests” ahead of the elections. The presidential election was held under the state of emergency that was extended on January 2 by another three months a nationwide state of emergency, citing security reasons. The measure grants the president, and those acting on his behalf, the power to refer civilians to State Security Emergency Courts for the duration of the three-month period. There is no appeal process for State Security Emergency Court verdicts. It also allows the president to intercept and monitor all forms of communications, imposing censorship prior to publication and confiscating extant publications, impose a curfew for or order the closure of commercial establishments, sequestration of private properties, as well as designating areas for evacuation. The emergency measures allow security forces to detain people for any period of time, for virtually any reason. They also grant broad powers to restrict public gatherings and media freedom. The presidential election was held in an atmosphere of untamed repression. Human Rights Watch said on January 18, President Abdel Fattah al-Sisi’s government during 2017 observed few boundaries on its untamed repression of all forms of dissent. While the country faced major security threats and attacks by armed groups, the government introduced a host of repressive laws, reinstated the abusive state of emergency, and sent thousands of civilians to military courts that, along with civilian courts, issued scores of death sentences in flawed trials, Human Rights Watch said in its World Report 2018. Al-Sisi government tightly controls local media outlets, prosecutes critical journalists and activists, and maintains a zero-tolerance policy for exercising the right to peaceful assembly, effectively eliminating basic requirements for fair elections. Tellingly, on the Al- Sisi’s watch 109 had been sentenced to death in 2013, 509 in 2014, 538 in 2015 and 237 in 2016. Egypt must stop executions until it has reviewed all death sentences and retry any convictions that are found to rest on unfair trials, five independent UN human rights experts said on January 26. “We have raised multiple specific cases with the Egyptian authorities and continue to receive more. In the light of these persistent serious allegations, we urge the Government to halt all pending executions,” the experts said in a statement. The experts were Jose’ Antonio Guevara Bermúdez, Agnes Callamard, Bernard Duhaime, Nils Melzer, and Fionnuala D. N- Aola’in, who report to the Council on arbitrary detention, extrajudicial executions, enforced disappearances, torture and the protection of human rights while countering terrorism.